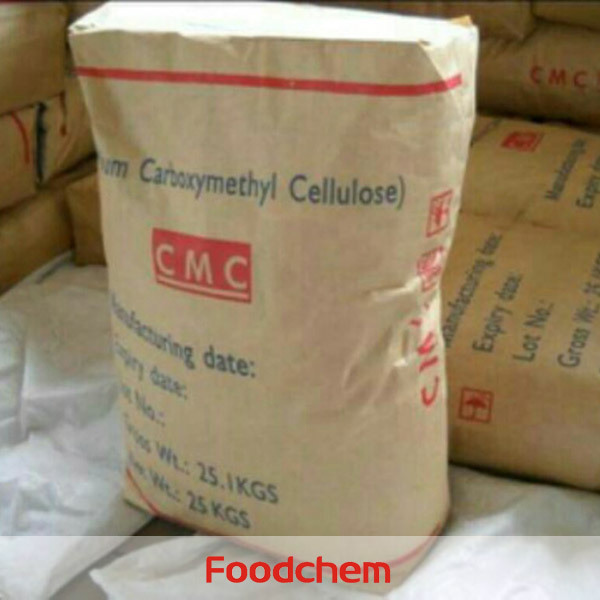 Carrageenan is one of the popular food additives and ingredients in most countries, As a professional Carrageenan supplier and manufacturer, Foodchem International Corporation has been supplying and exporting Carrageenan from China for almost 10 years, please be assured to buy Carrageenan at Foodchem. Any inquiries and problems please feel free to send emails to us via sales@foodchem.cn, we will reply you within 1 working day. 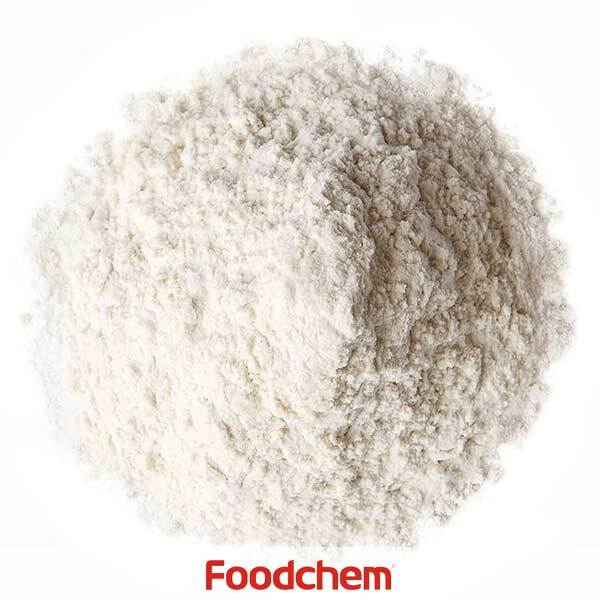 Foodgel1000 is semi refined food grade Kappa Karrageenan ( E407a) extracted from Eucheuma cottonii seaweeds. It forms thermoreversible gels at sufficient concentration and is highly sensitive to potassium ion which greatly enhances its gelling properties. 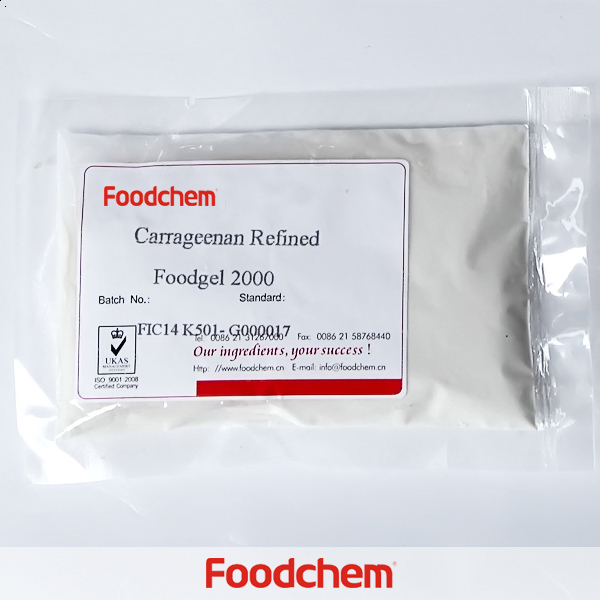 Foodgel®1000 is stable in alkali medium.Carrageenan is a naturally-occurring family of carbohydrates extracted from red seaweed.. Carrageenan is extracted with water under neutral or alkaline conditions at elevated temperature. Refined carrageenan is mainly recovered from solution by alcohol precipitation or potassium gelation. Semi-refined carrageenan is washed and alkali treated seaweed. The carrageenan is not extracted out of the seaweed but is still contained in the cell wall matrix. Commercial carrageenan products are frequently standardized for obtaining optimal gelling and thickening properties. By using the appropriate carrageenan product, the formulator can create textures ranging from free-flowing liquids to solid gels. 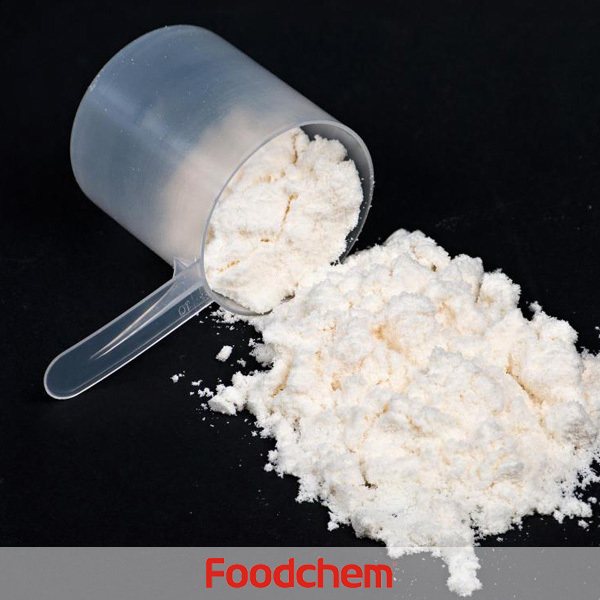 In addition to offering standard types, Foodchem works in conjunction with customers to develop new products and formulations for specific applications. Foodchem is an ISO2008 9001 certified company, as for Carrageenan Foodgel1000, we can offer HAPPC, KOSHER, HALAL Certificates, ect. 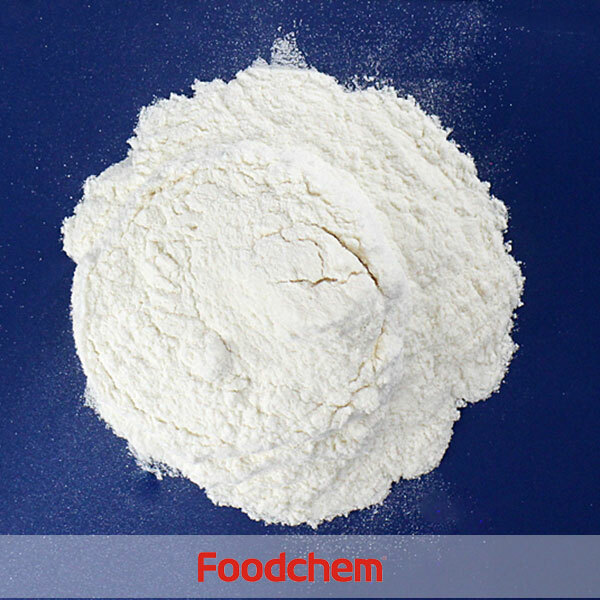 Foodchem is both manufacturer and trading company, we are Carrageenan Foodgel1000 distributor, at the same time, we are manufacturer of other products. 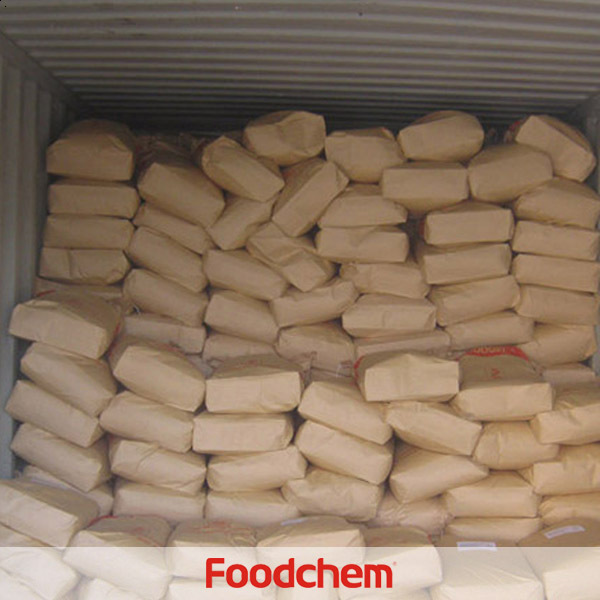 Foodchem is a famous supplier and manufacturer of Carrageenan Foodgel1000 in China, and has been corporate with many Carrageenan Foodgel1000 suppliers for several years, we can provide you with cost-effective Carrageenan Foodgel1000. FOODCHEM A : of course yes, thickeners are much used in candy productions to increase the consistency. Feng TingQ : Could you please send me the quotation of your Carrageenan, both fresh and powder one? 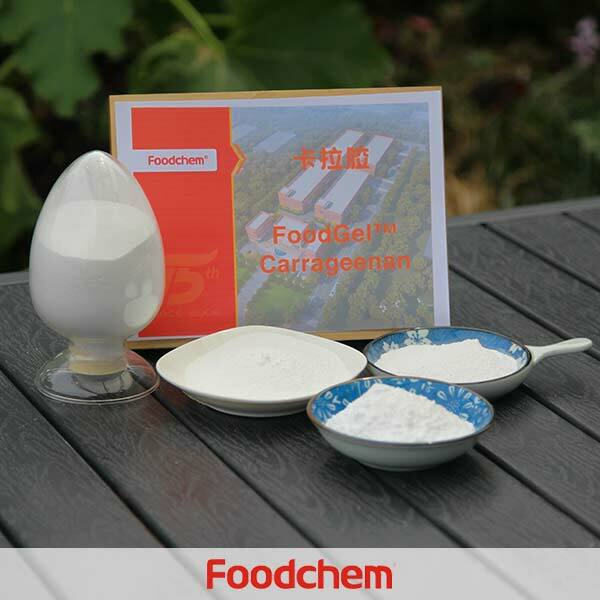 FOODCHEM A : we will send the specification of carrageenan to your mail box, but we only have powdered carrageenan at present.